I have so many favorite moments from our trip to Bordeaux and Biarritz in the Aquitaine region in southwest France. I'll be sharing a lot of details from our trip on Ciao Bambino and here on Arrows Sent Forth. But while I give myself a bit of time to organize my thoughts more fully, I'll post a few brief glimpses into our trip here each week. One aspect of travel that I want to work harder at is food. No, not the quantity. We eat plenty, that's for sure. I want to focus more on eating at local, one-of-a-kind places, where we can sample the cuisine unique to that country or region. Expand our culinary horizons. And introduce that to our boys. Doing so with kids isn't always easy. I can usually tell when my two just aren't in the right frame of mind to linger over a slow meal at a nice restaurant. Or try new foods. At times like this, I often give my husband "the look" and off we head to pick up a pizza or takeout or a grocery store. I usually kick myself after for missing an opportunity, but sometimes, it's the only option I feel we can tolerate. Fortunately, during our long weekend in Belgium, we got to sample lots of local delights, in an atmosphere that was not only manageable with kids, but truly enjoyable. 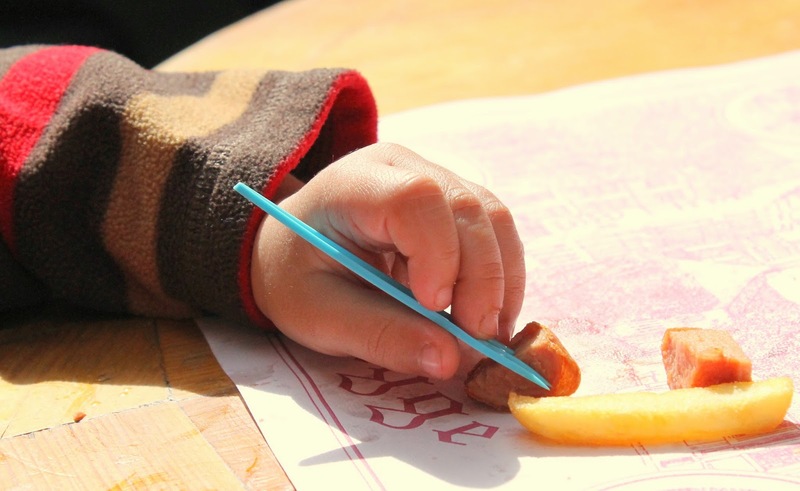 One of my favorite memories from our trip was watching Little Arrow (2) eat his hot dog and Belgian "frites" with one of the little forks that are the custom there. His chubby little hand grabbed that fork so tight and he concentrated so hard. This is not a child known for impeccable table manners, so I'll never forget it. And it wasn't but a moment before he was dipping the fries in mayo (as one does in Belgium!) instead of his beloved ketchup. So proud. 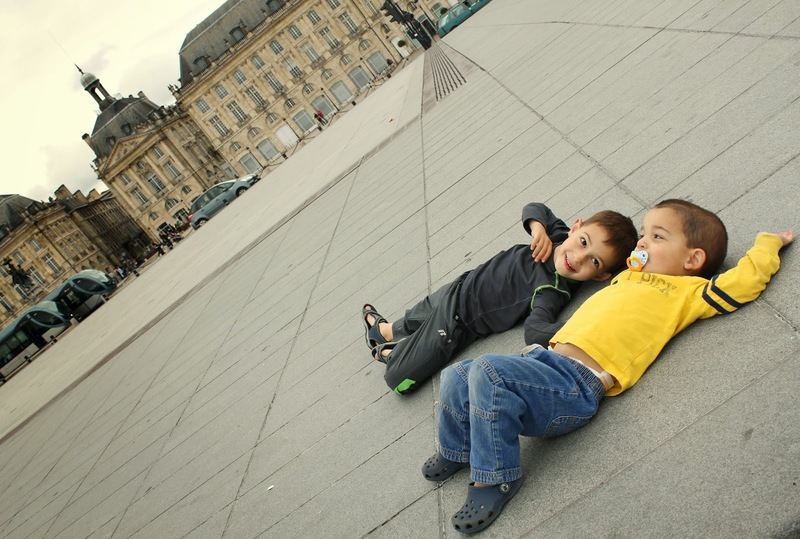 I write a lot about the many benefits and wonderful aspects of traveling Europe with young kids. But there are limitations and sacrifices, to be sure. Especially when it comes to accommodation. 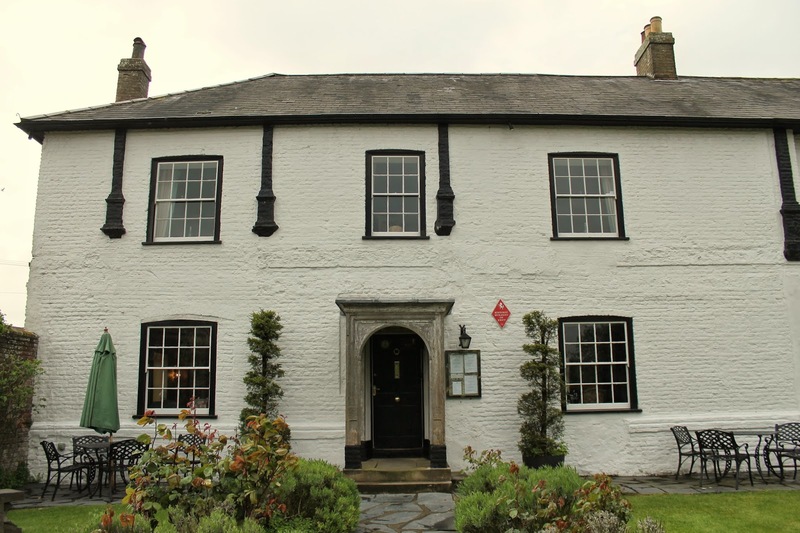 The continent (and England in particular, it seems) is chock full of charming bed and breakfasts, lodges, manor houses, castles and so much more, all offering up a special, quiet night away. At various price ranges, too, which is fantastic. But that's just it: a QUIET night. Meaning the 2-year-old who might throw a few fits in the process of settling into sleep in a strange place probably isn't welcome. Not to mention the fact that at most of these historic properties, it's just not possible to cram beds for four people into a tiny room. Things Americans, with our spacious hotels that can accommodate four or more without batting an eye, just don't often think about (or at least, I didn't). Let me be clear: you CAN find places to stay as a family in Europe. Surely if you've spent any time reading about our travels over the last year, you know that's true. But you may have to give up the historic charm. Or the tucked away location. Or the hotel amenities. A stop in Kent in southeast England was my husband's idea. 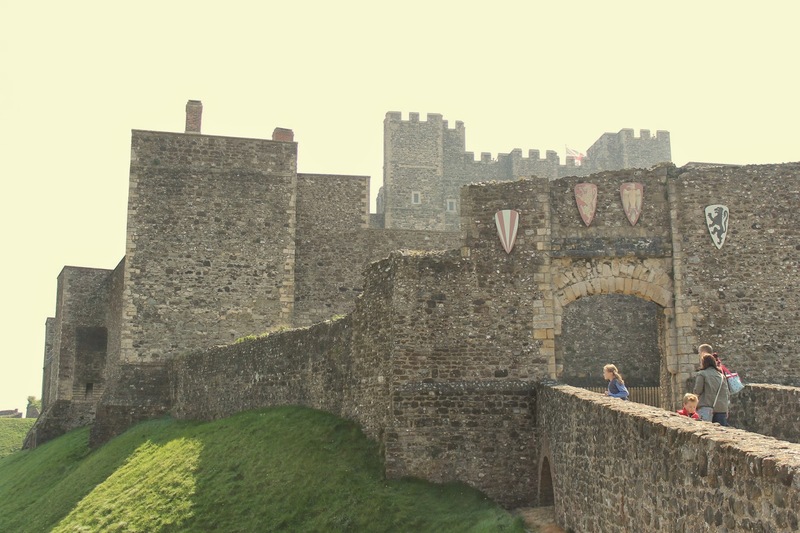 I wrote about our stay in Dover over at Anglotopia, too. This was the portion of our Easter trip that surprised me the most. I frankly thought we'd pass through, see the sights, give the kids a break from the car, and then be on our way. In the end, it was a real highlight of our long holiday weekend and I'm really glad we carved out the time for this stopover. More than perhaps any other city I've ever visited, Bruges was meant for walking. There are destinations along the way, museums, churches to tour, etc., but I read over and over again that the best way to enjoy this place is to get lost amid its medieval streets. And so we did. As you'll see in my Belgium itinerary, we spent almost a full day plus several additional afternoons just walking around the city. (Although we were never truly lost, which is probably a good thing when your strolls include two little boys!) 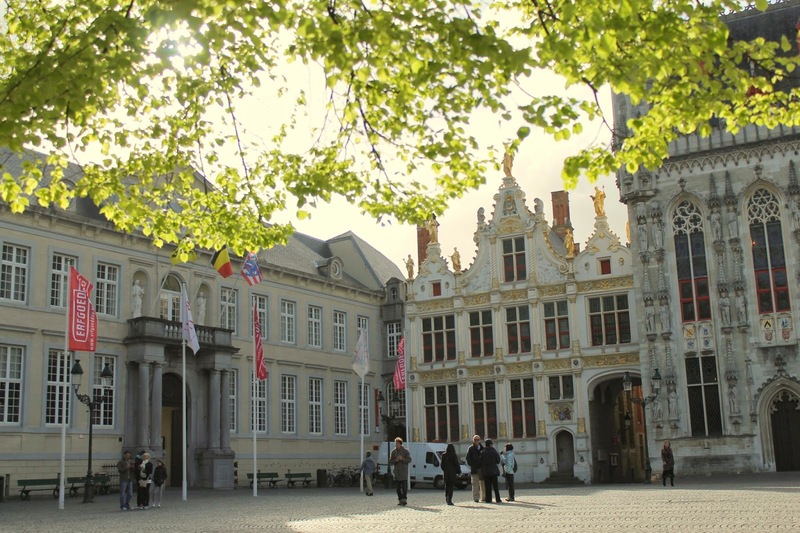 We were so fortunate to have time on our side to get into some of the less explored corners of Bruges. But many people come to Bruges as a day trip, or possibly an overnight. If you don't have the luxury of multiple days in the city, then you'll want to maximize your time and see as much as you can with what you have. And if your visit to Bruges involves kids, it'll need to be a walk that incorporates play and rest, too! 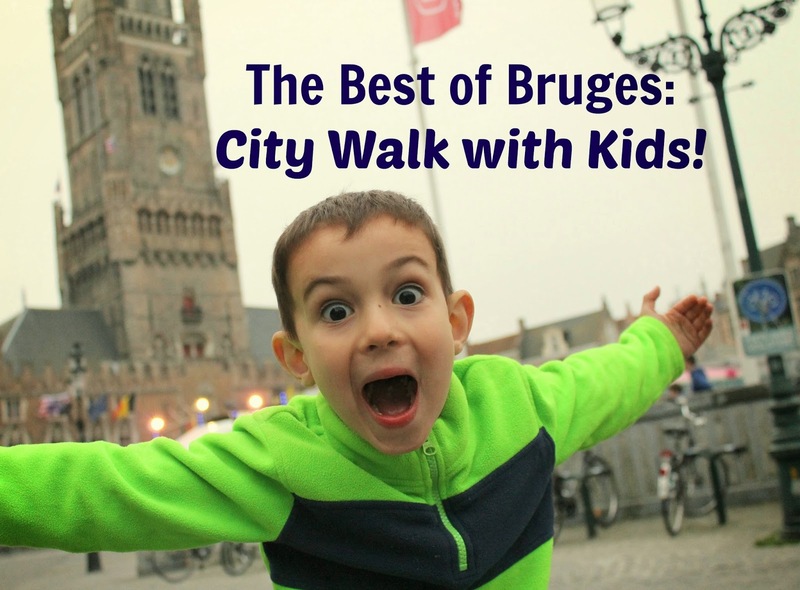 So my husband and I (he's the navigator/map reader) put together our ideal Bruges City Walk with Kids. When I was researching our trip to Oslo last summer, I kept coming across at popular tour of the fjords called Norway in a Nutshell. I loved the phrase "in a nutshell" as such a fitting description for something big being captured in something small. Here me out, because I'm actually writing about Belgium, not Norway. But I think it's an accurate way to describe Belgium, too. As in, it's Europe in a nutshell.